My Paleo Patisserie gathers all the rich heritage, exquisite elegance, and rustic beauty of traditional patisserie baking and seamlessly melds it with the gluten-free and Paleo-inspired diet. Drawing on over two decades of experience in traditional and modern patisserie baking, Jenni Hulet brings the spirit of patisserie baking alive in this lavishly photographed collection of recipes. Each section of My Paleo Patisserie introduces and adapts the fundamental elements and techniques of traditional patisserie baking for the grain-free baker. With dozens of beloved culinary standards and hundreds of potential recipe combinations, My Paleo Patisserie is an indispensable resource of creative grain-free confectionery. 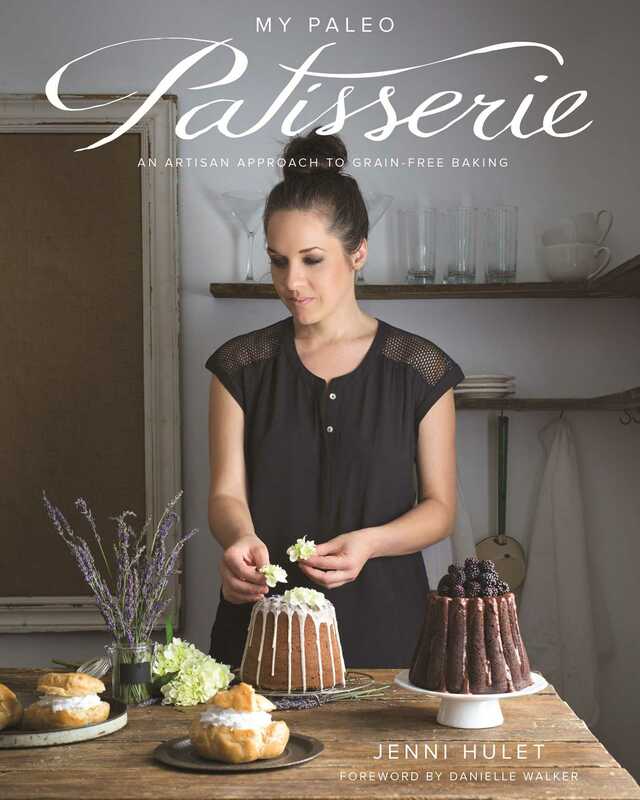 "Jenni Hulet's book, My Paleo Patisserie, is a feast of visual delights and enticing recipes. For anyone who thinks living gluten-free must be about deprivation, your socks will be blown off by the matcha green tea cream puffs with ganache, French apple tart, and black-bottomed banana pies. And croquembouche! Whoever thought there would be croquembouche on a special needs diet? It's such a beautiful book."